Be The First to Review the Blue Plum Fast 5K! The Blue Plum Fast 5K is a Running race in Johnson City, Tennessee consisting of a 5K. 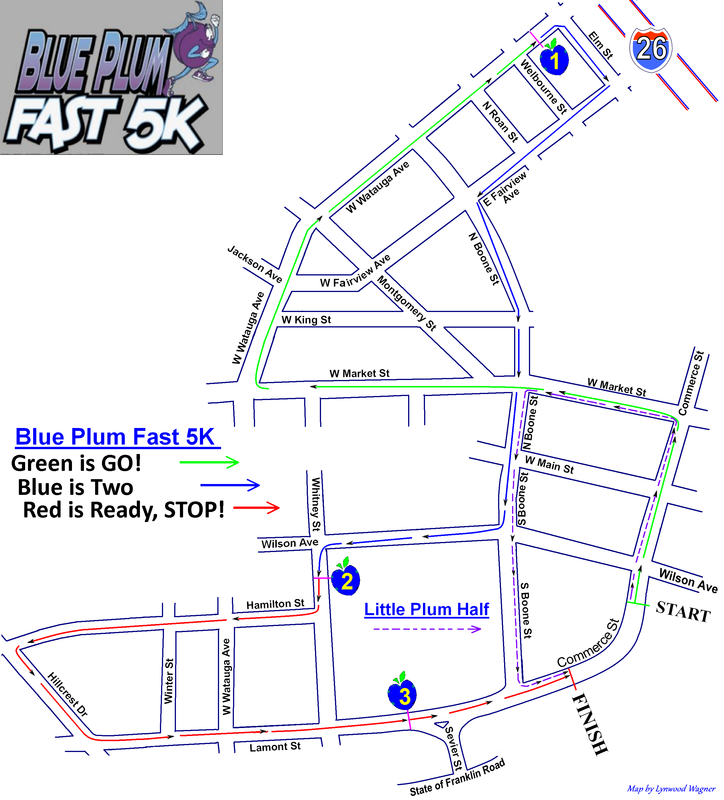 Please join us for the Blue Plum Fast 5K in Downtown Johnson City. This 5K run and Little Plum Kids Dash, health and wellness event, is sponsored by Level 1 Trauma Center at Johnson City Medical Center and Powered by Blue Plum Organization. Kids 12 under FREE (no shirts) for both the 5K and Little Plum Dash. Stay for live music and beer in Founders Park after the race as part of the Blue Plum Festival. We are dog friendly! Dogs on leashes are welcome (please be prepared to clean up after your dog). Electronic B-tag timing by We Run Events. www.blueplum.org	View Course Map	Incorrect Race Info/Update Race Details?